A U-M Medical School researcher is working with the World Health Organization (WHO) to develop and evaluate a health care provider and student training curriculum on intimate partner violence and sexual assault among women in lower-resource countries. Vijay Singh, M.D. (Fellowship 2010), assistant professor of emergency medicine, of family medicine, and of internal medicine, is part of a WHO-funded project to create training specifically for health care providers and students in low- to middle-income countries (LMIC). 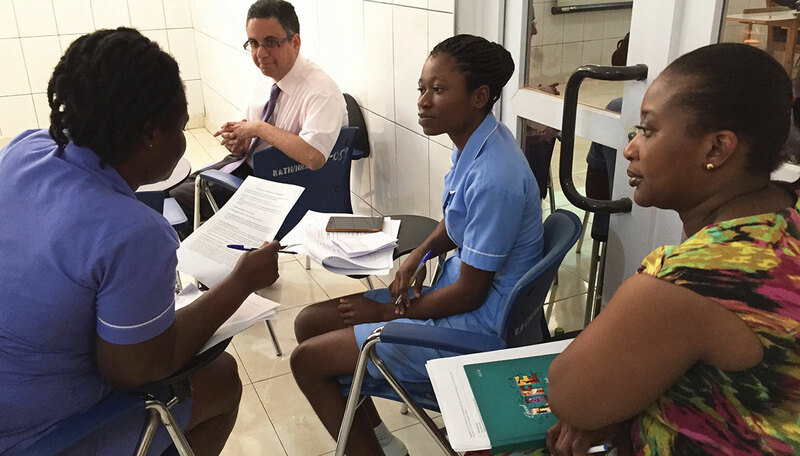 In early 2018, after helping develop the curriculum, Singh traveled to Ghana to pilot the training to a few hundred medical students at Kwame Nkrumah University of Science and Technology, a U-M Medical School partner institution. Singh was asked in 2015 to be part of an international working group tasked with taking existing WHO clinical guidelines on identifying and responding to violence against women and modifying those practices for LMIC settings. While signs and symptoms of intimate partner violence and sexual assault might be universal, the response varies widely depending on the setting and availability of resources, Singh points out.